Did anyone cheer louder at the Viking’s win last night than Max and Hannah? Engagement sessions are a great opportunity to not only celebrate who you love, but what you love. 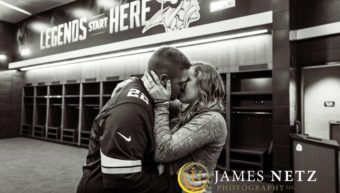 And this couple obviously loves their Minnesota Vikings. Skol!! You don’t just want to just record your big day, you want to capture it! Capture your personalities, see your joy, and feel the love from family and friends that surrounded you. 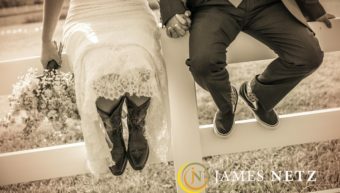 We truly believe the images from Emily and Brandon’s country wedding at Dellwood Barn do all of that.